Today we welcome another guest to All Things Georgian, the lovely writer Laura Purcell (http://laurapurcell.com/), author of Queen of Bedlam. 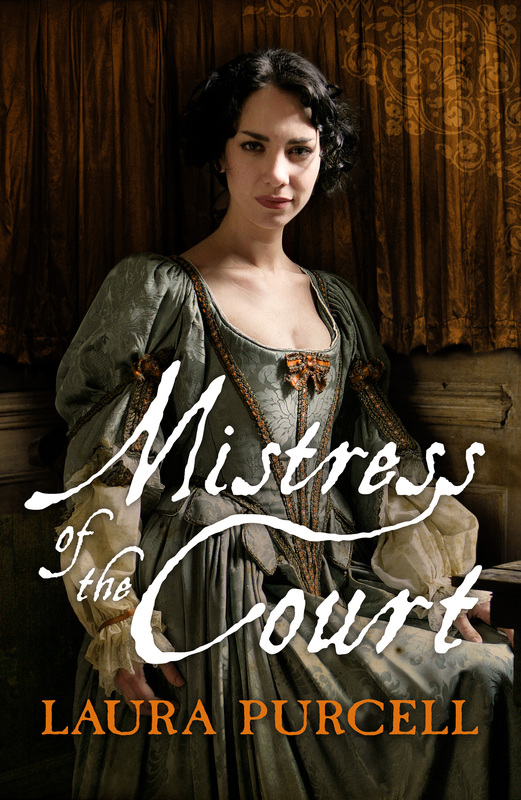 Laura has another book due to be released on the 4th August 2015 which is the biographical story of Henrietta Howard – Mistress of the Court. With that we will hand over to Laura to tell us all about Queen Caroline’s bathing habits – it makes fascinating reading. 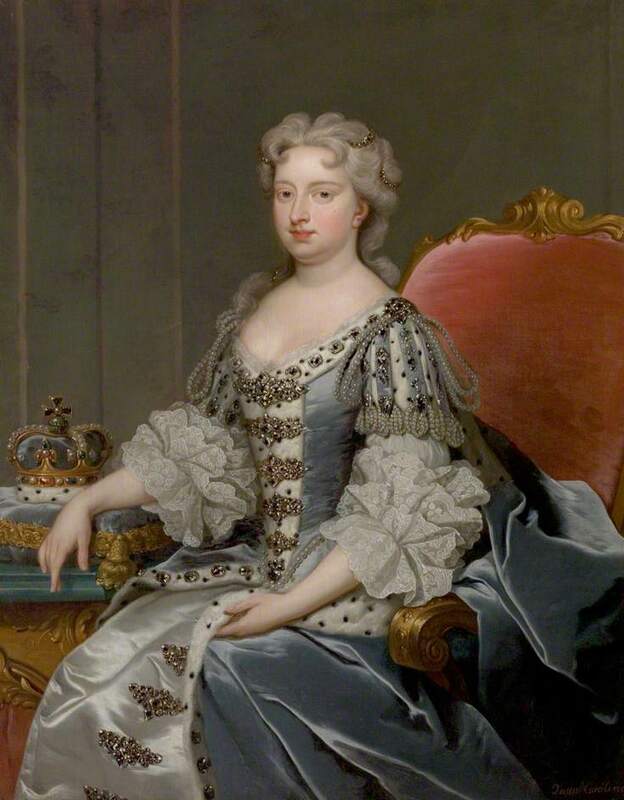 The personal grooming habits of George II’s wife, Queen Caroline, were so unusual that they passed into legend and nursery rhyme. And while I have not found any proof that she used such a dangerous substance as turpentine for her hair, she was certainly washing it more often than the average Georgian woman at court. In general the hair would be cleaned only by a thorough brushing, with washing in rosemary water taking place perhaps fortnightly, or at even greater intervals. And as far as the skin went, it was the hands, face, feet and personal areas that were cleaned every day. Full immersion in water was rare. Partly, this was due to the difficulty, not to mention the expense, of heating the amount of water required for a bath. You would also need to afford the help of servants to lug the water forward and backwards. But even those rich enough to obtain steaming tubs of water would use it sparingly. Medical science at the time considered it dangerous to overindulge in baths. The sudden changes of temperature when getting in and out of the water threatened chills, while opening up the pores made them susceptible to infections. This is not to say that every early Georgian had an unpleasant odour – the habit of brushing the skin, particularly under the arms, helped to carry away many impurities. When Caroline arrived in England as Princess of Wales in 1714, she amazed the court with her regular bathing habits. She was always a progressive thinker, challenging opinions of science and religion amongst other subjects. She liked her skin and gowns to be clean and her servants well manicured – a feat which must have been quite difficult for those involved in the dirty work of running a household. At one point in her life, Caroline was separated from her children with only limited access to them. It is interesting to note that she insisted on bathing them and putting them to bed herself. While I imagine the heavy lifting of water would have been done by a servant, the main point is that Caroline considered it good practice to bath her children regularly – something which may well have earned her censure as a ‘careless’ mother. 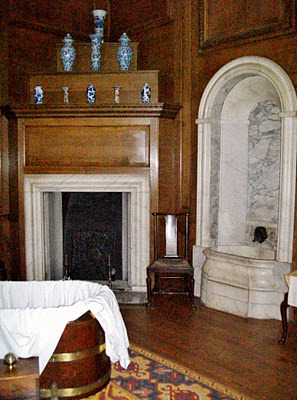 If you visit Hampton Court Palace, you can still see Caroline’s bathroom. The bath itself is hidden behind a reconstruction of an early 18th century wooden partition, screening the royal bather from anyone peeking up through the windows from Fountain Court. The tub would be lined with linen, and a little stool placed in it for Caroline to sit upon. She would not bathe naked like us – some accounts say she wore a thin muslin gown while others describe a yellow canvas shift. Ornamental ewers of hot water would be fetched from the kitchens and poured into the bath. There was also a tank of cold water in a room out the back – just in case temperatures got a bit too steamy! The soapy concoctions whipped up for Caroline to wash with were mainly scented with orange and rosewater. These would be brought to her by her ladies, who would then retire to wait in the closet next door. When summoned, they would return and help to wrap Caroline in hot linen towels, which had been warmed by the fire. Occasionally, you will smell a heavy, old-fashioned perfume in Caroline’s rooms at Hampton Court. To me it resembles rose otto, which is not the same as the rose scent we know today but a deeper, rather waxy fragrance used frequently in the Georgian period. The scent seems to travel through the rooms, sometimes following people around – a strange phenomenon I have personally experienced. Other people say they cannot smell it at all. Legend has it that this is Queen Caroline’s spirit, hovering around her old quarters. The idea is perhaps a little fanciful, but it is a testament to the cleanliness and good grooming habits of this queen that even her ghost has a reputation for smelling pleasant. Fascinating blog, many thanks for sharing this with us. Napoleon loved his baths too – the first thing he did when moving into Longwood House on St Helena was to have a bath prepared! He spent hours in his bath, the Chinese servants bringing in hot water. He did suffer with a skin complaint so this must have helped, & his Dr.s often recommended “a warm bath” when he was “agitated”. Nothing like a warm bath for soothing the nerves! I was intrigued by the mention of ‘rose otto’ at Hampton Court – I’ve often wandered the rooms there over the years but not noticed any lingering delightful sniffs! Napoleon had a special Eau de Cologne made for him on St Helena, it included rose petals – but to me his tiny bathroom at Longwood just smelt er … musty! Perhaps my olfactories have been damaged with years as a hay fever sufferer! As you say, at least both Napoleon and Caroline tried to smell nice! Thank you Julie and Meghan! Thank you for that history. I learned in my music education training, but I am not sure if it is true, that they would wash their hair in turpentine to get rid of lice. Do you think that may be true? I have been telling my music classes this for years! It certainly sounds feasible, however, neither we nor Laura have found any evidence to substantiate the theory.